Contrary to popular belief, The Wallflowers are still making music, and they rock just as much as they did when I was in junior high. I was recently witness to this when I caught them in San Francisco, a two-day stop on their short West Coast tour. 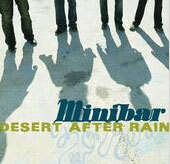 Minibar opened the show with their blend of British, folksy rock, which complemented the Wallflowers well. They played a lot of songs from their newest album, Fly Below the Radar, including the title track which has been getting a bit of radio play. They also played a few songs from their older CD, Road Movies. None of the members did very much talking, preferring to let the music speak for itself. Lead singer Simon Petty even brought out a harmonica for a few songs, which was a nice addition, although it sat around his neck more than he played it. Overall, their sound was very polished and they put together a solid live show, although many of their songs sounded very similar. But that didn’t seem to phase their fans, some of whom were devotedly singing along to every song. Minibar might have had some fans, but when the Wallflowers came on stage it was easy to tell why everyone was there. They opened with “6th Avenue Heartache” and played one great song after another for the whole set. They premiered an acoustic version of “Here In Pleasantville” and played one of their new songs entitled “Drunken Marionette.” The set was wonderfully arranged, taking an acoustic break in the middle to slow things down before speeding up again to much excitement. Jakob Dylan has excellent stage presence, joking and flirting with the audience all night; after “Sleepwalker” someone shouted their love for that song to which Dylan replied, “Well I like it, too, but what do you want? We can’t play it again.” The highlight of the set came during “One Headlight,” which Dylan started on his acoustic guitar with only the keyboard as his backup; but halfway through, the rest of the band came on stage, Dylan switched to electric, and the Wallflowers rocked the remainder of the song. They put on a great show, both musically and entertainment-wise; their new songs were great, and their old songs were even better. This tour ended on June 26th, and the band will be heading back into the studio to record some new stuff. But if you get a chance to catch their next tour, I say do it. You won’t be disappointed.